The fire scene is chaotic and unpredictable. But you don’t have to be. For a firefighter, nothing is ever easy. Lifting and carrying equipment on uneven terrain, while moving quickly, navigating around obstructions and others while maintaining your situational awareness is an absolute necessity. These incredible tasks are some of the most common causes of poor posture and poor movement which leads to slow degradative injuries. 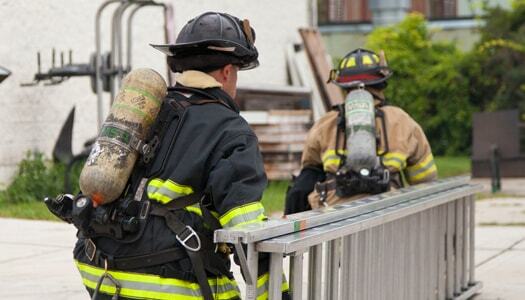 With the Fire Scene DVRT program you’ll learn lifting and carrying techniques that conserve energy, enhance your performance and improve your safety in a way that can be added to your training seamlessly. Your firefigthers be presented with 10 Tasks that have an astounding 105+ variations that will help them learn simple adjustments that will do wonders for their abilities. 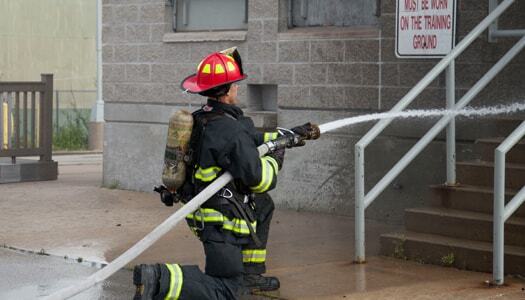 These variations make for accessible programming, regardless of the background and fitness level of the firefighter. Through this class we’ll assess your member’s individual movement inefficiencies, reinforce good habits and discover proper progressions for your members. We want to work with your fire department! By reaching out to FD-PT about the Fire Scene DVRT, you are taking an important first step in bettering the wellness of your firefighters. Please use the contact form below to request more information.